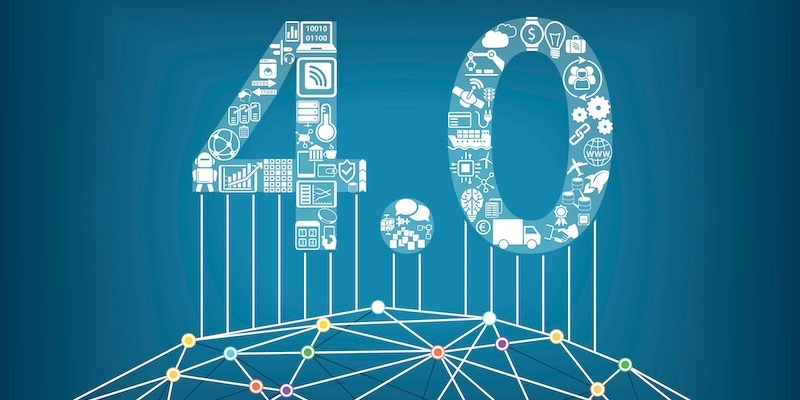 The fourth industrial revolution — Industry 4.0 — has taken hold and continues to transform how manufacturers manage their operations, do business in the marketplace and lean into the future. The technologies powering the revolution are dynamic, but the interconnectivity they provide between the physical and digital worlds reaches into — and changes — other industries, including digital mapping. Industry 4.0 is dependent on electronic communication between different systems, and the Internet of Things (IoT) fulfills that need. The data transmitted to, from and between devices via the Cloud enables human-free decision making with the goal of becoming more accurate, efficient and productive. Let’s apply this principle to digital mapping. Map data is needed to display a map. The specific use case must be able to retrieve the map data in order to create the display. The device upon which the map is accessed must be able to translate the data and images so end users can manipulate them as needed. This all happens seamlessly and electronically by leveraging Cloud-based data and storage, not unlike the communication between smart equipment on a shop floor. Taking it a step further, map data is also dependent upon the IoT to maximize digital map functionality. The ability to accurately sense roads, for example, is critical for fleet management apps or any other use case dependent upon road data. The rise of autonomous vehicles also relies heavily upon the IoT and Cloud-based data use and storage to enhance machinery capabilities that are independent of human intervention. For manufacturers, this means equipment such as cranes and trucks that can independently accept shipping containers from ships. On the road, autonomous vehicles continue to proliferate. As a leader in location technology, HERE has become a thought leader in driverless vehicles by introducing their Highly Automated Driving (HAD) technologies. HAD blends artificial intelligence and smart vehicle functionalities to arrive at mapping solutions that provide a safer, more enjoyable experience since the vehicle can electronically interpret, understand and react to its environment. As demonstrated above, the Cloud is pivotal in distributing data that enables interconnected communication, but it also provides a near-infinite amount of data storage. Given that digital mapping solutions are often robust, this is a clear advantage for those GIS professionals and app developers who choose to use APIs, since all related data is Cloud-based. In addition to streamlining processes, integrating Cloud-based storage solutions could provide significant cost savings over in-house storage and maintenance of map data — as fleet management software developer GFI Systems, Inc. found out when they switched to the HERE APIs. (Read the case study). The IoT has undoubtedly changed the game and will continue to do so as technologies advance. Embracing it is less of a decision than a necessity moving forward, but it’s not necessarily a universal solution. To ensure your digital map adds value and delivers to user expectations, you need to align the digital map format with your needs. Determine which solution is right for you using the helpful tip sheet, Should I License Map Data Or A Map API Platform? Click the button below to access your copy now.